The content of this topic has been archived between 13 Jun 2015 and 6 May 2018. There are no obvious gaps in this topic, but there may still be some posts missing at the end. Atheros AP81 routers that run u-boot that are now working with OpenWRT. However, this router has proven difficult to date given a highly modified u-boot that is crippled. -- Common Atheros AP81 specifications: 400mhz CPU, 32MB of RAM, 4MB of FLASH. U-boot says 8MB of flash, but it is not true on actual hardware. -- USB port header has been discovered on the motherboard, even a punch-out on the plastic case. -- BAD: the rs232 port on the router requires you to bridge one tiny surface mount pad jumpers/bridge. From dd-wrt forums, Pin Connection. UPDATE: I now confirm this all works correctly. You only need RX, TX, Gnd. u-boot is at 9600-8N1, kernel is at 115200-8N1. Pin #1 is clearly marked P1 with a triangle. This router is a pain due to need to bridge the R356 pad adjacent to the serial port. These are small surface mount pads and not real easy to solder or pencil. See the later photos in the thread. Ok, in my early attempts I damaged the bridge solder pads for the rs232 and I've been trying my best to salvage them... but too late. I had it working for a few hours but was flaky and attempts to shore it up pretty much ended it for good. The router is still working, but no rs232 on this unit for me. I am tempted to table this TP-Link for now. At least until someone else wants to work actively on porting OpenWRT to it. It is a nice AP81, but until the price is discounted or on sale here in the USA, I'll hold off. For similar price ($60) I can get the Planex router from Amazon.com that has a simpler to solder rs232, USB port attached, and 8MB of flash instead of 4MB. I expect the TP-Link will be more available (better product distribution, worldwide and with retailers in the USA) and go on discount prices - but not feeling a lot of rush. The $25 Trendnet with 2x2 MIMO seem like a good thing to focus on, and the Planex routers should satisfy the need to see how the 3x3 MIMO and USB works on this platform. If anyone else is serious about OpenWRT on the TP-Link (we have to work out the way to flash, right now only working with ramdisk image and u-boot tftpboot) - let me know, and I may order a second on and get the rs232 soldering right with my now-gained experience. Ok, I unboxed another one, I'm a glutton for punishment. Good news is I got the serial correct the first time! 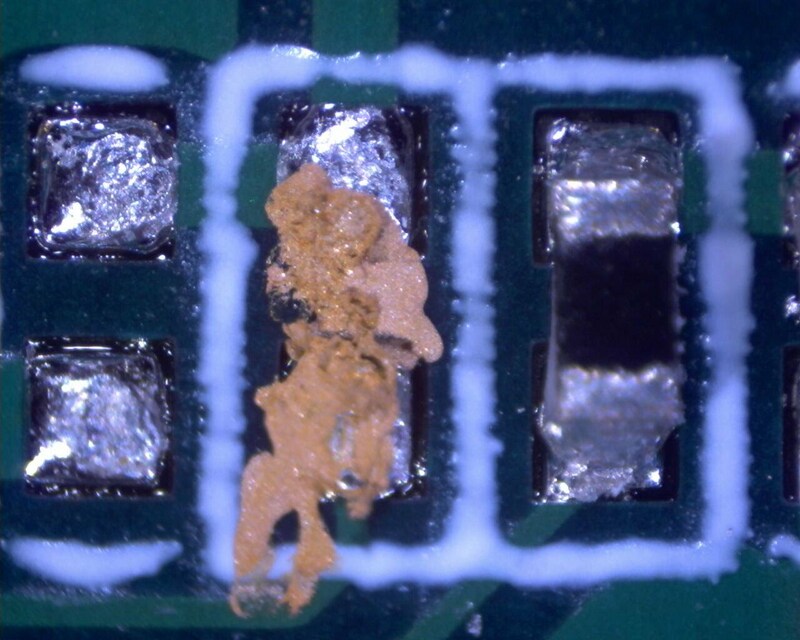 Here is microscope photo of the surface mount pad you have to bridge. R356, the 3rd one down from top (or 2nd one up from the bottom). This is the ONLY one you need to bridge for the serial to work. Now to bridge this, I used liquid metal. In the USA, the easiest way to get this is to go to a automotive parts store and buy a rear window defogger repair kit. Inside you will get a bottle of copper particles suspended in solvent. I used a fine point toothpick to drip a couple drops right between the pads, got it right the first time! It is easy to clean off excess after it dries (1 minute) with a clean toothpick tip. Here is a picture with liquid copper applied, I did not clean this up any way, it is good enough for me Looks messy, but not touching any other pads. interestingly, the u-boot is missing the 'saveenv' command, so I can't change the baud rate to 115200 to match Linux boot. Oh well. If you boot the original vendor firmware (kernel 2.6.15 download .bin from TP-Link website)... you can login to get root with the username "ap71". Thank Lark for that information. It is really good news you got this far! I was feeling guilty because my WR941ND was just sitting on the desk... I'm not as good as you with a soldering iron. Sorry if this is a stupid suggestion, but it's not that the baudrate is different? I did this mistake once with redboot and linux on different baudrates and it looked like the kernel just died (in fact it booted perfectly of course). Please tell me if I can help out in any way! I have 941 that I'm willing to risk. I really don't have much clue what I'm doing, I'm learning through trial and error and re-reading all the existing information I can find. Lark on dd-wrt forums really did the legwork here, but he put it aside in December and was really more focused on using the existing 2.6.15 kernel. 1) You can download the firmware update for the router from TP-Link website. Intercept u-boot (serial connection required) and tftpboot the original firmware .bin file - and at least the kernel starts. Yes, the baud rate changes, but at 9600 you see the scrambled serial output. Switching baud rate to 115200 will get you the boot log (and see it crash, this file wasn't really made to be tftpboot, but it proves it is possible). 2) I try to create my own OpenWRT kernel using the same assembly steps that Lark put together - and it just produces NO OUTPUT of any kind. Switching baud rate to 115200 yields nothing. So something is missing here or I'm doing something wrong. P.S. On the soldering, there are only 3 wires to solder. I suggest using cat5/cat6 Ethernet wire (the inside wires), about 4 inch piece with a little bit of the insulator removed. You heat up the serial port solder pin pad and stick the solid wire in gently (so it doesn't bend). There is already spare solder on these pads, so it isn't that hard. Then you can connect your serial device to the other end of this solid Ethernet wire. 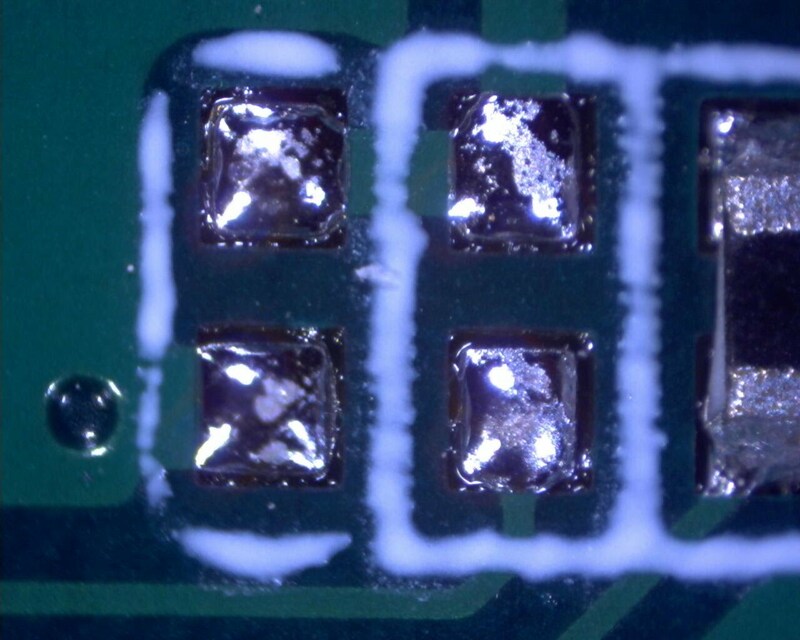 As for the tiny R356 pads you have to bridge - I suggest the liquid copper and toothpick... as that's nearly impossible to solder Maybe enlist a local friend at a users group or something? On the TP-Link, my console dies on kernel boot... it come to me that perhaps the serial port is the cause! As something weird with how tp-link chooses to go 9600bps on u-boot when all other AP81's use 115200. And the factory firmware emits a unique message that the other AP81's do not. Although the Netgear is unique too, and it works fine with OpenWRT kernel (but it runs forked OpenWRT white Russian for factory firmare). Can I tell OpenWRT to not touch serial port for console? Perhaps I could help by putting my router in the mail to one of the big guns? Gabor? We are still fighting with it. This router is proving to be nothing but a pain due to the crippled u-boot. Attempts to boot OpenWRT kernel have all failed. All OpenWRT users are encouraged to contact tp-link and request GPL source code for their changes to u-boot. So far, they have refused requests. This router is proving to be nothing but a pain due to the crippled u-boot. Attempts to boot OpenWRT kernel have all failed. I bet we will solve this sooner or later. All OpenWRT users are encouraged to contact tp-link and request GPL source code for their changes to u-boot. So far, they have refused requests. This is an additional reason why we should put OpenWrt onto this board. Not quite sure if there are all changes included, but i think it's worth a look. I have got the packet yesterday. Thank you. Gabor checked in preliminary changes to OpenWRT trunk! Thank you _bbb_ and Gabor. Gabor reports that LAN and WAN are not yet working.. Comment: TP-Link opted to use only one of the Ethernet interfaces provided by the CPU and let the switch do the logical split between LAN and WAN port. I speculate... doing full duplex transfers between LAN and WAN, this means you could run into situations where the same CPU Ethernet interface (eth0) is used to traverse WAN to LAN... I mention this as some of the other AP81 routers using both ports have been benchmarked as capable of 95Mbps WAN to LAN (Trendnet TEW-652BRP). This particular router design may not do as well. I have not benchmarked the TP-Link, just pointing out the issue. I know some people have been seeking this platform for the 400Mhz CPU and capability to saturate the Ethernet. Any chance this device can be reflashed with openwrt from the tp-link webgui? If so I'm getting another one to play with! I'm going to try mine out today. Excellent! I will order one right away. If you are in the USA or Japan, I strongly encourage you to spend the extra $15 on the Planex U-boot is healthy, flash is 2x the size, the LAN and WAN don't share a common network interface, the USB port is populated, and the serial port is easier to solder in. Good point. I'm in Sweden (EU country) though... The Swedish importer doesn't carry the exact Planex model that OpenWrt runs on. Also, I don't really like the "stand up router" form factor. Is it possible to put the Planex down flat on its side? I mean does it have some sort of pads or something that makes is reasonable to place it flat? How do you mean U-boot is healthy? Does it have U-boot recovery mode with reflash over http? How well is OpenWrt working in the Planex? Is it as "plug and play" as the Trendnet TEW-632 or do I have to solder that serial port?